(For requests for Thomas Lancaster and Robert Clarke to speak to the media, please see Engagements). 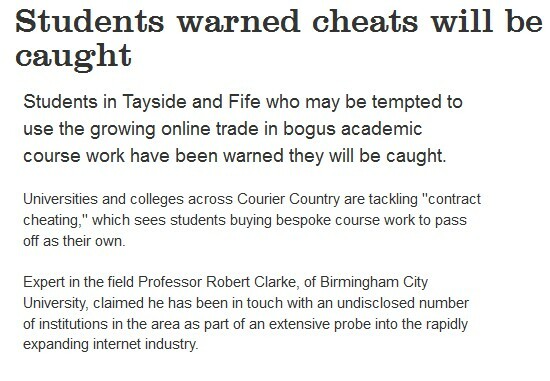 Contract cheating receives continued attention in the press, often with commentary provided by Robert Clarke and Thomas Lancaster. This section provides commentary on many of the stories that have been covered by the media.